Officers from Charlotte Mecklenburg Police Department line up to confront protesters. WFAE reporters Nick de la Canal and Gwendolyn Glenn, and Charlotte magazine associate editor Adam Rhew were all at the protests that erupted last night in the University area after a black man was shot and killed by a black CMPD officer. 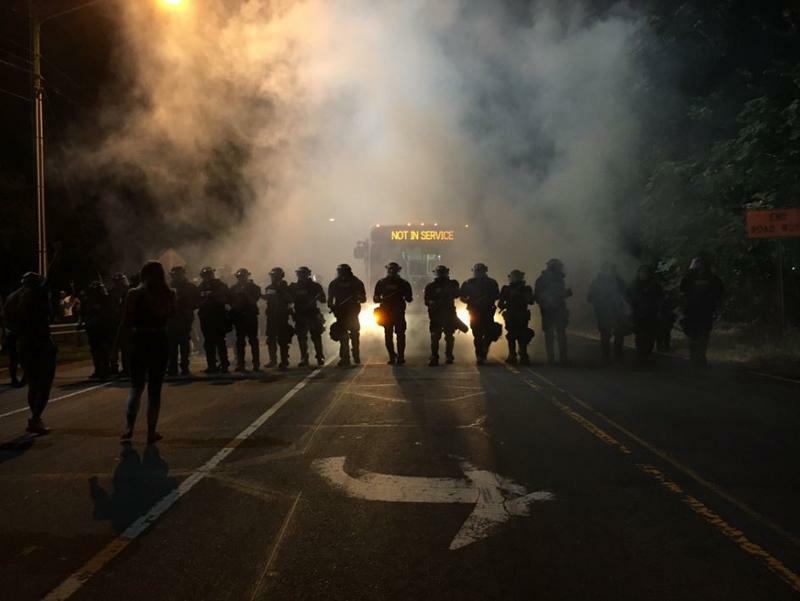 We recap last night's protests and what we know about the shooting death of Keith Lamont Scott.